You know? Facebook.com today is the 2nd largest trafficked site as estimated by alexa.com, after google.com. Just spent about 2 hours reading about Facebook. Looks like the technology and ideas is quite bleeding edge, however, its stance on ethics, is quiet shady, tracing back all the way to its origin at Harvard. I fully support capitalism and the free growth of ideas, but judging from Facebook's track record on issues as discussed on wikipedia, its ethics is quite questionable. Here's a summary, followed by quotes from Wikipedia. Mark Zuckerberg broke into university photo database to steal the photos. Mark Zuckerberg stole mate's ideas, betrayed trust, with tactics such as registering domain name first and trademark the name Facebook, but done in a dishonerable secretive way. Facebook got repeated complaints about their advertisement tactics, policy, user agreement terms change, abuse of user's data. One notorious incidence is the Facebook Beacon. It resulted in a class action lawsuit, ends in settlement with Facebook eventually shuttding down the service and paying $9.5 giga usd into settlement fund. Facebook once or still is, that when you delete your account or took off some data you uploaded, they don't actually delete them. Mark Zuckerberg founded Facebook with his college roommates and fellow computer science students Eduardo Saverin, Dustin Moskovitz and Chris Hughes while he was a student at Harvard University. The website's membership was initially limited by the founders to Harvard students, but was expanded to other colleges in the Boston area, the Ivy League, and Stanford University. It later expanded further to include (potentially) any university student, then high school students, and, finally, to anyone aged 13 and over. The website currently has more than 400 million active users worldwide. Facebook has met with some controversy. It has been blocked intermittently in several countries including Syria, China, Vietnam, and Iran. It has also been banned at many places of work to discourage employees from wasting time using the service. Privacy has also been an issue, and it has been compromised several times. Facebook settled a lawsuit regarding claims over source code and intellectual property. The site has also been involved in controversy over the sale of fans and friends. According to The Harvard Crimson, Facemash "used photos compiled from the online Facebooks of nine Houses, placing two next to each other at a time and asking users to choose the 'hotter' person". To accomplish this, Zuckerberg hacked into the protected areas of Harvard's computer network and copied the houses' private dormitory ID images. Just six days after the site launched, three Harvard seniors, Cameron Winklevoss, Tyler Winklevoss, and Divya Narendra, accused Zuckerberg of intentionally misleading them into believing he would help them build a social network called HarvardConnection.com, while he was instead using their ideas to build a competing product. The three complained to the Harvard Crimson and the newspaper began an investigation. Zuckerberg used his site, TheFacebook.com, to look up members of the site who identified themselves as members of the Crimson. Then he examined a log of failed logins to see if any of the Crimson members had ever entered an incorrect password into TheFacebook.com. If the cases in which they had entered failed logins, Mark tried to use them to access the Crimson members' Harvard email accounts. He successfully accessed two of them. The three later filed a lawsuit against Zuckerberg, later settling. Also, there's a entire article of 10.5 k words of Facebook criticisms, with contents largely different from the above. Here's the article: Criticism of Facebook. Complaints, lawsuits, from governments, user groups of tens of thousands, corporations, computer scientists. The guy who started Facebook seem to be a aggressive scumbag. Perhaps he thinks of himself something alone the lines of “can't make an omelet without breaking some eggs”. F￼CK Facebook. Every link on Facebook is tracked. 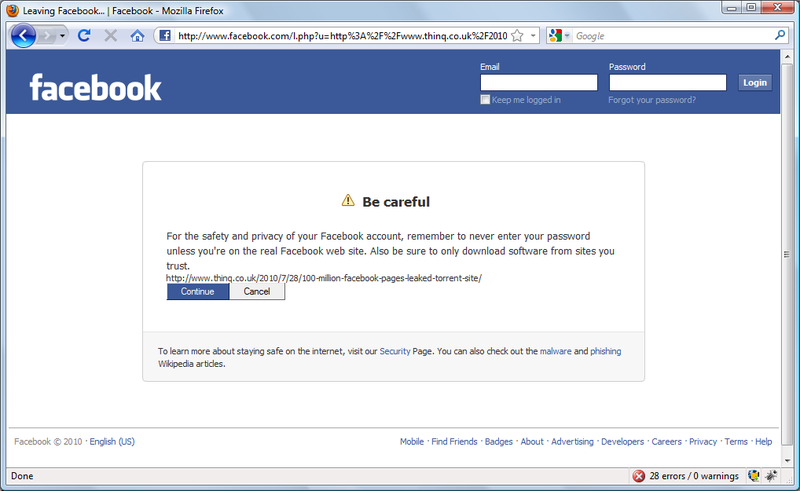 So, when you click, it goes to Facebook itself, then redirect you. And with cookies, of course they know everything you clicked, and who clicked what URL of every URL on Facebook. I noticed this practically… long story long: i use multiple browsers at the same time, one with cookies on sites i have a account, and another browser for general browsing purposes. I use Google Chrome as my cookied browser, and Firefox as generic. So, when i want to see URL on Facebook, i right click to copy the link, then with keyboard macros i've setup i press a button and the URL is opened in Firefox. The page that results from a URL displayed on Facebook, by right click to copy the URL then paste in another browser. be sure to only download software from sites you trust. To work around this, i have to actually copy the URL text as shown on the page by dragging to select the text. This is a more manually labor intensive maneuver and error prone. In some cases the URL isn't displayed, so this work-around won't be possible. In general, just didn't have good experience when i want to see links linked from Facebook. So why don't i stop using it? No, i will keep using it. That's what i do. I use you, and abuse you, in proportion to how i see you in my eyes. haha. Put in a positive light, this is called, say, raising awareness, public education, non-violent civil disobedience or unconformalism. f￼ck Facebook again. Today i tried to log in, but by mistake used my old password. Then, it pops up to tell me of the fact. The point being, they retained the info about my old password in their database. F￼CK Facebook because the Mark Z something f￼ckface used this wrong password log technique to hack into his enemy's other accounts. Explanation: when we login to some site, often we may have typed passwords we used in another account. Sites are not supposed to log it wrongly typed passwords, but apparently fb does, at least in its early days. This means, if you ever enter by mistake your other bank account's password while trying to login Facebook, then fb knows, and can use it to login to your other accounts. Today's password incident doesn't have to do with the above, but is similar. Namely, fb retains the data of your old password, but as far as i know this isn't a standard practice in handling passwords. Combined with fb abuse history, thus f￼ck Facebook. FSF made a declaration on Facebook. 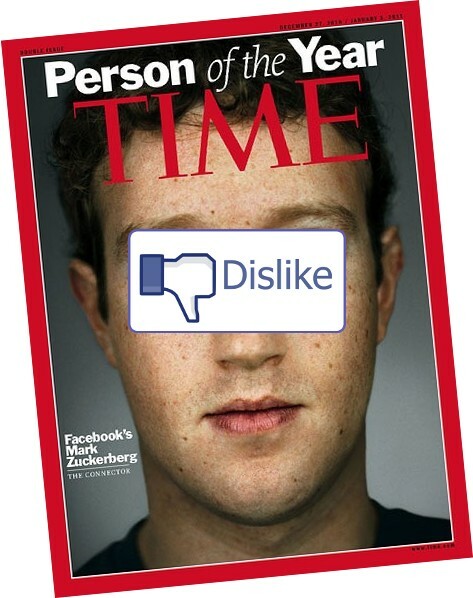 See: Mark Zuckerberg is TIME Magazine's Person of the Year? Where's the “dislike” button? 2011-02-03 by Matt Lee et al. @ fsf.org. The Heart of Wikipedia: Why is Wikipedia Successful?